Was DaVinci The Mona Lisa? Could this be one the greatest secrets of all time? You've heard about it, now judge for yourself. You may not believe your eyes. Discover what may be Leonardo Da Vinci's greatest secret and possibly one of the greatest secrets of all time. Was the Mona Lisa really another Leonardo Da Vinci self-portrait? A must see, you may not believe your eyes. Get it now! Compare his famous self-portrait to the Mona Lisa in a side by side view. Use the side by side grid view that fits the two portraits together like puzzle pieces. Learn more about this amazing theory. The Buzz About Was DaVinci The Mona Lisa? Interesting and compelling! I'd never heard of this theory before. 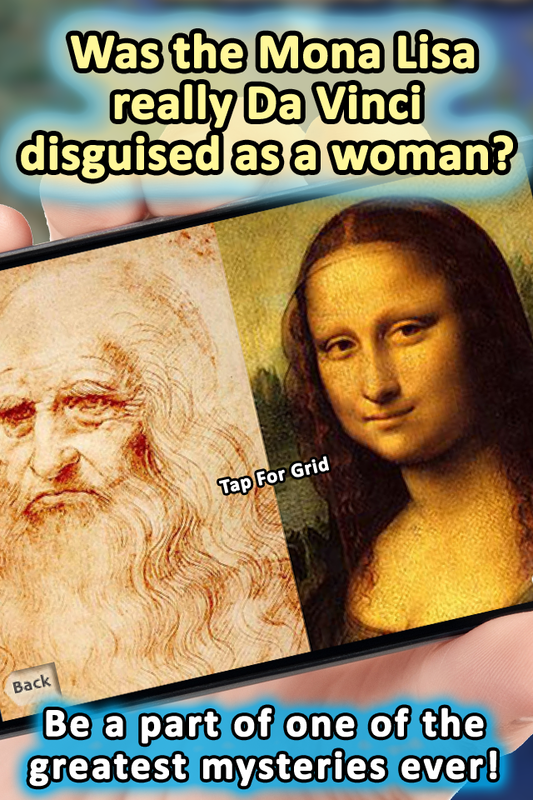 I like this app as it demonstrates the notion that da Vinci might have been his own model. Unique app that I have not seen before.